"I don't know how much they paid you, but I hope it was worth it." When you’re preconditioned as a set-up for a bigger film, you’re doomed to fail from the start. 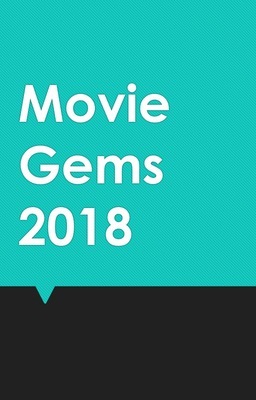 The objective no longer becomes about making a great film but about making an excellent teaser- show you a bit of bad-assery so movie-goers can give film studios an excuse to fund a bigger budget blockbuster. Kong: Skull Island is like that- a film so rushed to serve as a bridge to Gareth Edward’s Godzilla that it never finds its own footing. It showcases a childish fraternal mindset to the Vietnam era with a group of soldiers treating the plot as a game of Call of Duty. We have our beloved Tom Hiddleston cutting through monsters like it was Fruit Ninja and Brie Larson as the damsel in distress who glues herself to Hiddleston in every shot just to emphasize the love interest if you couldn’t tell already. There is no sense of consequentialism in the film- characters regularly drop the ball in tense scenes to make yet another flat-landing joke and soldiers who either act like melodramatic martyrs or could care less about another fallen comrade. 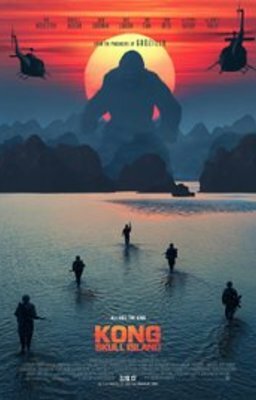 Even Kong in this film feels out of place, acting more as a plot device by wrecking helicopters or killing monsters to further our hooligans’ cumbersome expedition than being the star of the film. There is no minute to spare on plot development, as the film abandons any sense of a strong character or story-arc build-up and heads straight for the big bad land of Kong. One-liners are sprinkled throughout to add minimal flavor to our ultimately bland characters: Hiddleston the lone wolf ranger with daddy-issues, Larson as the social activist, Goodman as the paranoid conspiracy theorist, and Jackson as the utilitarian hell-bent soldier. Once our band of characters actually get to Skull Island do we truly see how bland these characters are as they helplessly navigate from point A to point B without any meaningful reaction to the situation they’re in or development of character. It’s all just firing at whatever weird creature pops on screen and hope to god you end up killing it. It stems from the fact that the film tries to be too many things at once, losing its tonal focus and all credibility. One never gets to sulk in the emotions conveyed in a scene before it gets sharply contrasted with the next, baffled at whether this is an actual action movie or a parody. John C Reilly’s character serves as a plot dump to the film, expelling any belief in natural plot progression and instead accepting a deranged man’s word as truth. If Reilly says Kong is a hero, then everyone should treat Kong as a hero. If Reilly wants a hot dog, then everyone should go get him a hot dog. Our protagonists become hyper-sensitive to what they’re told and despite the fact that they’d been crash landed or had a mission to search for rescue, they end up going back to save Kong because ‘he’s a good guy’. Once the post-credit scene rolls up you start to realize that this film’s sole purpose was to provide an excuse for a Kong v Godzilla movie, an idea which by face value should already deter people. The creation of mixing two different worlds into a big bad fight showcases a lack of creativity, when there are no other better storylines to explore you stick both of the most famous monsters in head-to-head and hope the CGI will awe the audiences into devotion. This tonal inconsistency throughout the film is reflected in the poor class of acting in the film. Mind you that this film has gone to lengths to select a widely celebrated cast, in this film it’s as if they can’t act. Each character embodies a teenage persona who, like I said, treats the whole movie like a Call of Duty game. No one really seems frightened by the fact that they could die and whenever somebody else dies, it’s really brushed off quickly. It’s hard to take anyone seriously or commend anyone when their scripts are so unbelievably cheesy and archaic. Because somebody cannot die without a cheesy one-liner nor can somebody stay sad for longer than 5 seconds as it would drag down the film as a whole. The greatest irony is that Brie Larson, having just come off winning an Oscar, deliver a B-movie performance as the damsel in distress that resembles something you’d seen in Sharknado. Now in a monster movie the one thing you can depend on is cinematography. Unfortunately, that too has been heavily filtered with glaring CGI and green screen mixed with the director’s infatuation with panoramic shots of our band of characters every scene he can get. 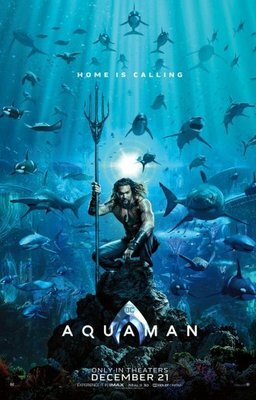 There are scenes in this film surveying the jungle landscape which make you question whether they were original or actually pulled off a Discovery Channel documentary. The monsters have a blatant CGI presence which makes them seem totally out of place with the movie itself and give them more of a ‘cartoony’ vibe if at all. There are some awing fight scenes spread out through the film serve as some numbness to the film’s ultimately frustrating endeavor. On the other hand, the panoramic shots are overly-done as every couple of scenes the camera zooms out on our characters with dramatic music to give them more of a ‘we’re a bunch of badasses’ vibe that deserves no merit. Kong:Skull Island is another cheap attempt of movie studios trying to jump on the world-building franchise and while there could potentially be interesting elements to explore in such a world, the people making Kong: Skull Island are obviously in it for the wrong reasons.